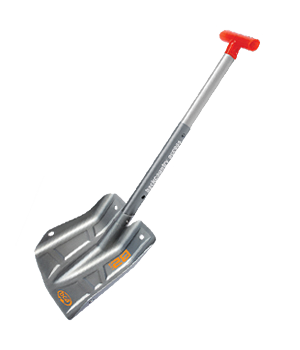 The B-2 EXT avalanche shovel is extendable and comes with the medium sized B2 blade. The B-2 EXT is the ultimate tool for those who are serious about digging and snow safety. The Bomber line boasts an off-the-chart strength to weight ratio, while taking up minimal storage space in your pack. Remember, the excavation process in an avalanche rescue is where the most time can be lost or gained.